The University of Georgia rivalry with the University of Tennessee differs from the UGA/USC rivalry because Herschel scored his first touchdown against Tennessee, Tennessee has had their song that drives us crazy (Rocky Top.) longer, and they wear orange. Georgia fans abhor the color orange. It's just not our shade. 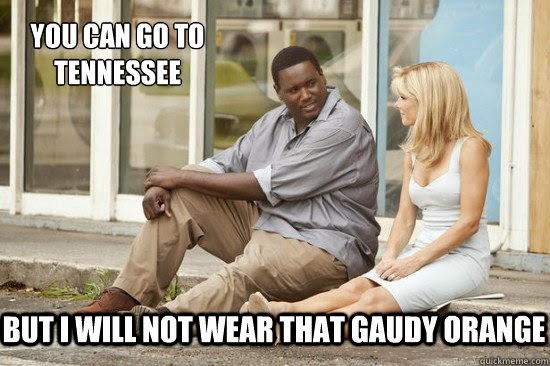 Auburn wears it, Florida wears it, and Tennessee wears it. 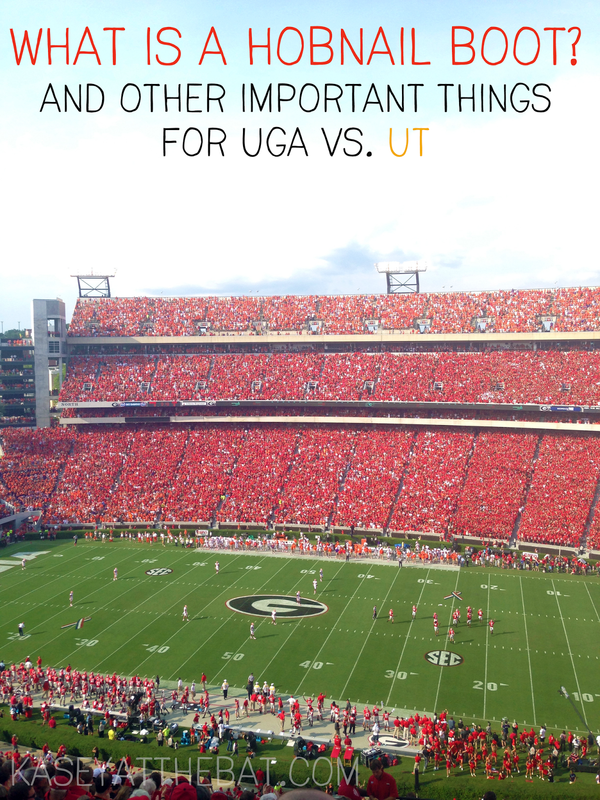 So here are some things you need to know before you head to Athens for this one! Tennessee leads the series 21-20-2, with nine of those 21 coming in a row from 1989 to 1999 [they didn't meet in 1991..] Tennessee has been through a lot the past few years, but we for sure haven't forgotten what a powerhouse they have the potential to be. Georgia has won the past four in a row, last year by the skin of their teeth. It's always a close game, because in the SEC, you never know what could happen. It's imperative not to let Tennessee win because you will have to hear Rocky Top a million times. You will absolutely never in a million years get that song out of your head. I know I exaggerate quite often, but this is the truth. Here, listen to it, then tell me you don't have it stuck in your head. good ole' rocky top. In 2007, my freshman year, an unranked Tennessee beat us and beat us bad. They won 35-14, were our only loss that year, and kept us out of the BCS National Championship because the head-to-head loss kept us out of the SEC Championship game. Listen. Orange is not a good color okay? There are very few people who look good in the color orange. Tennessee orange is a special brand of orange too. It always reminds me of Home Depot + prison jumpsuits. Hutson Mason said it best, "if you don't take Tennessee seriously, they will beat you and ruin your season." Don't forget to enter for the $100 to J. Crew! Check that out! I'm also linking up with Sarah + for Oh Hey Friday! What games are you watching this weekend? Oh yes, orange is gross but orange and blue, now that's a great combo! Go Gators! ;) Don't worry, y'all are pretty much guaranteed to beat us this year (again). BAH HUMBUG to orange I say!!! Will you be at the game? This gets me so excited for the game tomorrow! Love finding another Georgia fan! orange is the worst! I will be at the game!! woooooo! I am equal parts excited + nervous! go dawgs! !